Apple's redesigned Web-based store went offline Wednesday morning ahead of the company's media event where new iPhones are expected to be announced. 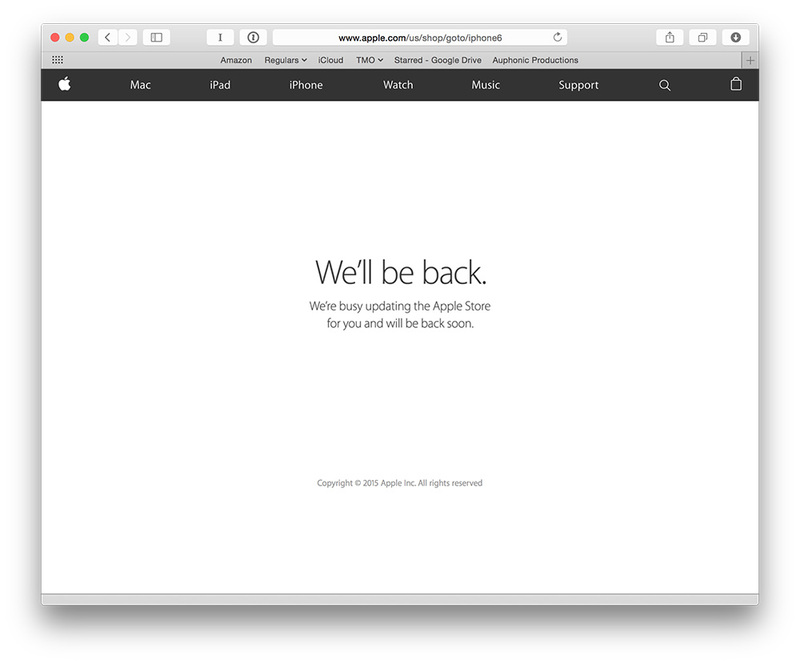 Instead of the familiar "We'll be back" note from previous events, however, you'll have to go hunting to find the notice because Apple's online store has been completely redesigned. 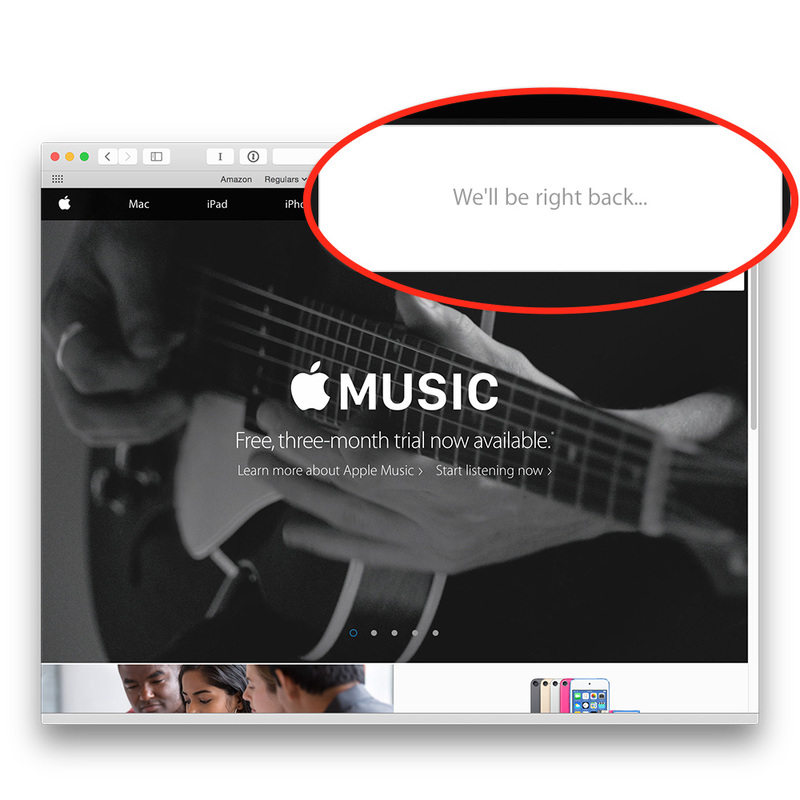 You can find the notice by clicking the shopping bag icon in the upper right corner of the Apple website to see a new notice saying, "We'll be right back..." or click the Buy Now button on any product page to see the more familiar, "We'll be back" notice. Apple is hosting a media event at 10AM pacific time today at the Bill Graham Civic Center in San Francisco. The media invites included the tagline, "Hey Siri, give us a hint." The company is expected to introduce updated iPhone models, an updated Apple TV, a new iPad mini, and a brand new 12.9-inch iPad Pro. The venue is large enough to hold big demonstration areas, so we may also see HomeKit and CarPlay hands on areas, too. The Mac Observer is on location to bring you live coverage from the event, plus we'll have our usual new and analysis, too. Be sure to follow along at our Website and our @MacObserverLive Twitter feed.